This study in texture was totally a case of being in the right place at the right time. 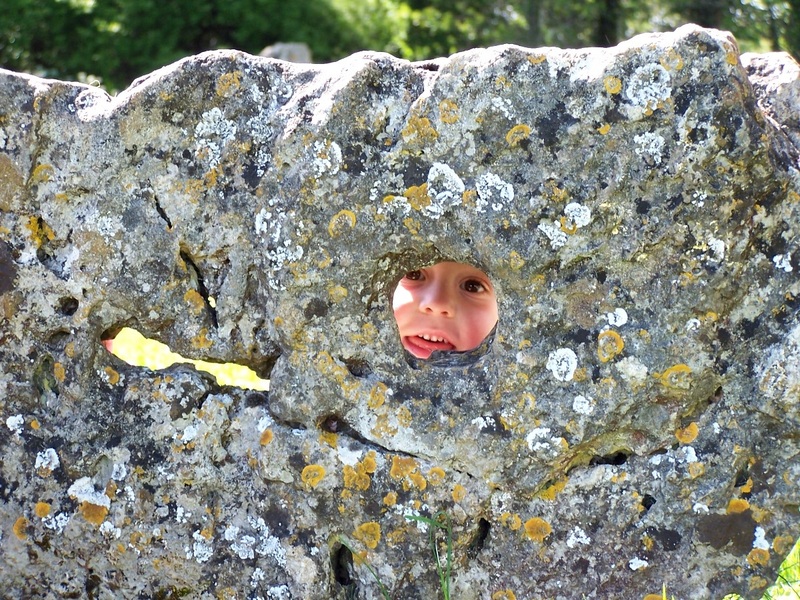 This adorable little toddler was playing around inside the ring of stones at The Rollrights, and just happened to peek through the same stone through which I was trying to get an artsy shot of the stones on the opposite side of the ring. He and I happily played peekaboo, him hiding behind the rock, and me hiding behind the camera. I love the contrast of the cool, weathered, lichen-covered rock and his warm, rosy, baby-soft cheeks.